The British artist and Trip Hop legend Tricky gave the German newspaper B.Z. 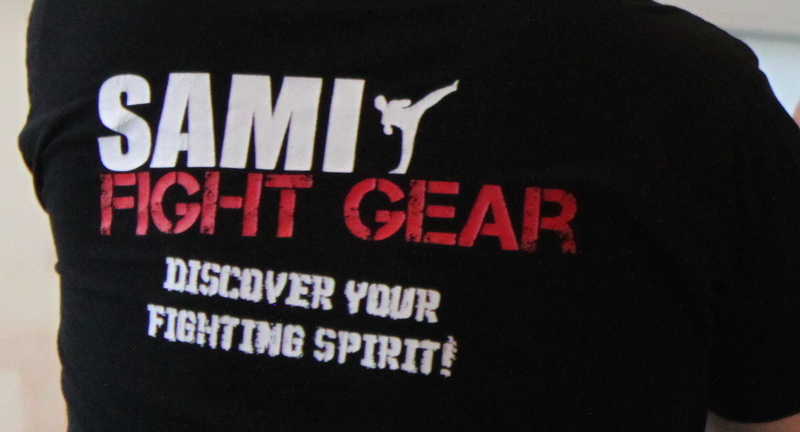 an interview at the SAMI Academy in Berlin, where he does his regular Panantukan Concept class with one of our SAMICS Black Belts Pascal Nagel. 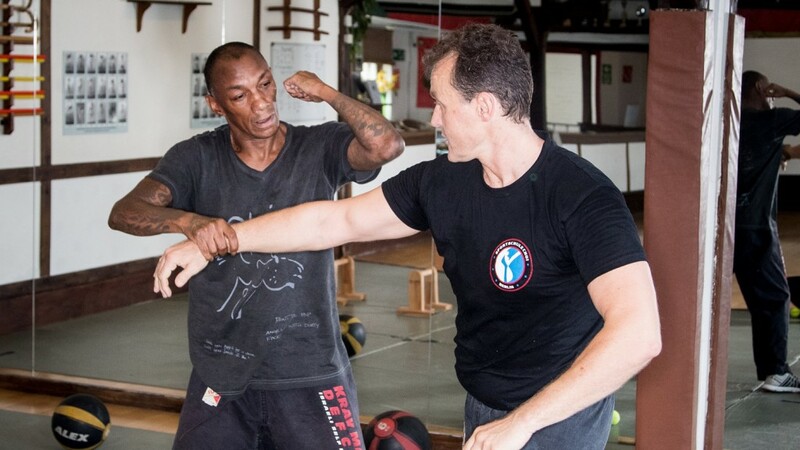 In the article the musician explains how important the training became to his lifestyle and how it teaches him to control his body in stressful situations. 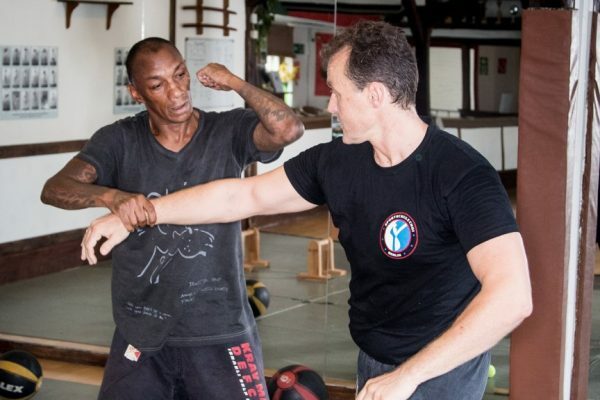 He says although he grew up in a ghetto in Bristol he is not a violent person and the fighting part is not the most important part of training to him.